Arsenal in their last few games have earned the reputation of snatching victories with last minute screamers, and today’s 2-1 win over Burnley FC appeared to be nothing short of some divine intervention. The Gunners were facing prospects of dropping precious points again, but were rescued by Chilean sensation Alexis Sanchez’s penalty goal late in the 98th minute. Although the game’s climax made fans go into an absolute frenzy, it was what happened before the game that commanded immense respect. 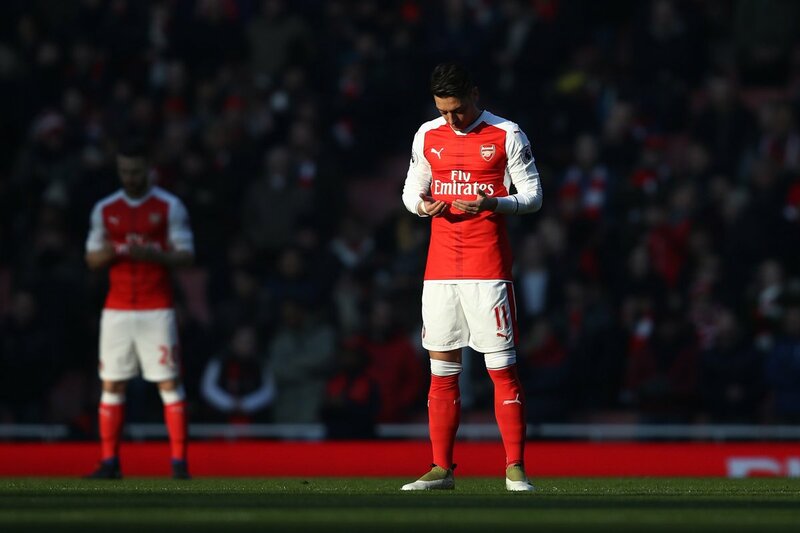 The Emirates witnessed a familiar scene that involved Mesut Ozil and Shkodran Mustafi praying just before kick off, a ritual that the devout duo carry out before every game. And it seems that their prayers paid off, as the 62nd minute saw the Germans score for Arsenal, courtesy of a Mustafi header which was fed by Ozil himself.